Again, JKS adapted his Toki Love Story photos and game for the CRISHOW 4 KANAZAWA. His photo for Day 1, No. 1. 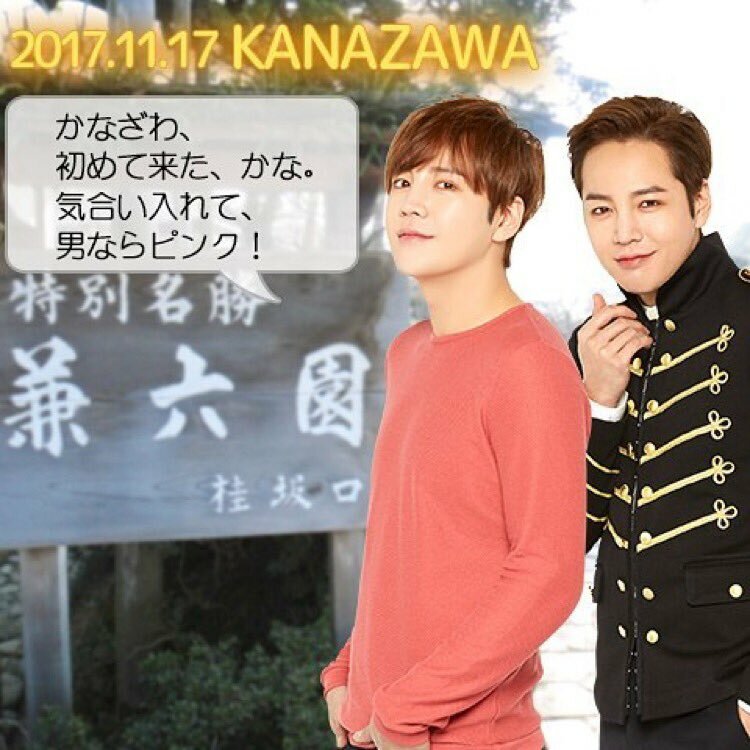 Eng trans, per Marchnecko: KANAZAWA, my first visit, right? Go get them! Real men wear pink!